Ecological restoration, the attempt to guide damaged ecosystems back to a previous, usually healthier or more natural, condition, is rapidly gaining recognition as one of the most promising approaches to conservation. In this book, William R. Jordan III, who coined the term "restoration ecology," and who is widely respected as an intellectual leader in the field, outlines a vision for a restoration-based environmentalism that has emerged from his work over twenty-five years. Drawing on a provocative range of thinkers, from anthropologists Victor Turner, Roy Rappaport, and Mary Douglas to literary critics Frederick Turner, Leo Marx, and R.W.B. 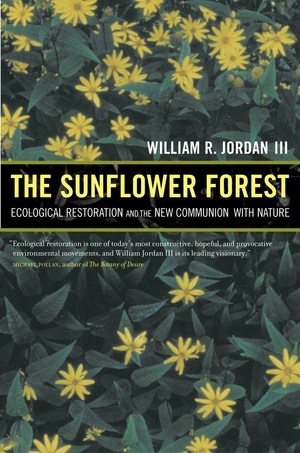 Lewis, Jordan explores the promise of restoration, both as a way of reversing environmental damage and as a context for negotiating our relationship with nature. Exploring restoration not only as a technology but also as an experience and a performing art, Jordan claims that it is the indispensable key to conservation. At the same time, he argues, restoration is valuable because it provides a context for confronting the most troubling aspects of our relationship with nature. For this reason, it offers a way past the essentially sentimental idea of nature that environmental thinkers have taken for granted since the time of Emerson and Muir. William R. Jordan III is Director of the New Academy for Nature and Culture and Co-director of DePaul University's Institute for Nature and Culture. He was senior editor of "Restoration Ecology: A Synthetic Approach to Ecological Research" (1987) and was founding editor of the journal "Ecological Restoration" and a founding member of the Society for Ecological Restoration.